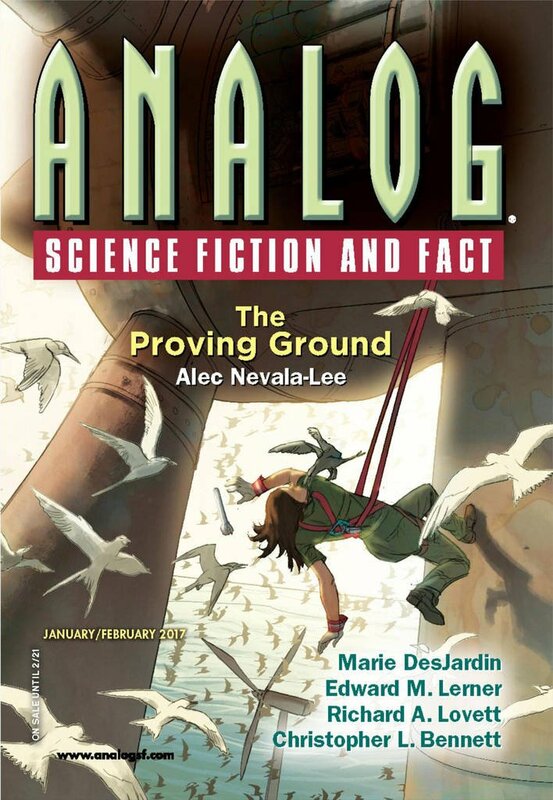 "The Proving Ground," by Alec Nevala-Lee [bio] (edited by Trevor Quachri), appeared in Analog Science Fiction and Fact issue 01-02|17, published on December 15, 2016 by Penny Publications. Pro: Haley's goal of figuring out what's happening with the birds quickly turns into a struggle just to stay alive. By the end, all of our questions are answered, and we're gratified to know that she has not given up on her dream. During the course of the story, we see the colony through her eyes and we understand just how much it means to her. We feel her pain at each successive stage of destruction. The story does a good job of foreshadowing. For example, there's a discussion about seeding the ocean with iron long before we find out that it's really happening. Although the story refers to the famous novelette, "The Birds," by Daphne du Maurier, in this story we actually learn what's causing the birds' strange behavior. Con: Except for Haley, the characters are pretty two-dimensional. While I don't think that du Maurier's The Birds is actually improved by providing an explanation for the birds' behavior, this was a really great riff on the idea. The background story was well thought-out and believable, and set up the unintended consequence of messing with the ecosystem quite plausibly. Funnily enough, the thing that momentarily threw me out of the story was the herons: I had no idea that there are heron species that aren't long-legged, freshwater wading birds. But the story accurately describes Pacific Reef Herons (at least according to wikipedia). We have Great Blue Herons fairly commonly around here - you would not want to get in a fight with one. 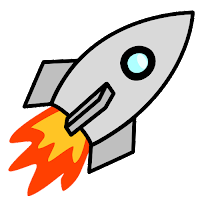 When I find something like that in a story, I usually stop reading, go online, and look it up. It's bad to let my own ignorance spoil a story for me. I guess it's also bad that so many authors are careless with facts that it's easier to be suspicious than to give other authors the benefit of the doubt.